This is my first marionette and it's based on @Marissa Farrell's image processing! Final objective is that I'll add cnc DXF milling information to this marionette so that it can be milled on a CNC machine. Maybe add a line milling. The image below is milled by us in the past with Jason's program. 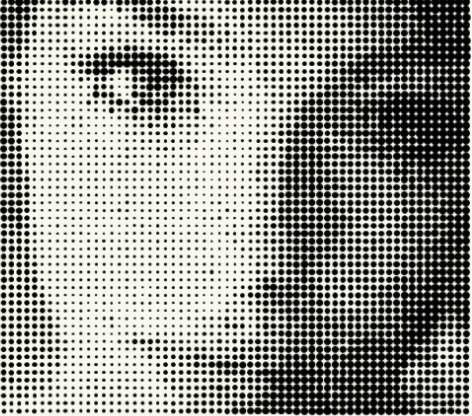 Be able to change the dimensions of the final halftone image. Now it takes the pixel width and height of the image, but I would like this to be some adjustable parameters. Changing the height and width with Set Height and Set Width has no effect. Somebody has a suggestion on how to do this? Here we have 2 lists. One with all the pixels. X,Y coordinates of the pixel, Z is the radius of the circle according to the color. The other list has the X,Y values of the centers of where the final circles have to be placed. Following this we need to check the distance of all the image points to the center points. If this is smaller than a condition, then that point's radius had to be taken into account for calculating the average radius of that centerpoint. Any one has a quick hint on how to create this in marionette?